Waters 2475 Multi Wavelength Fluorescence Detector HLPC - Needs New Battery . New Life Scientific, Inc. 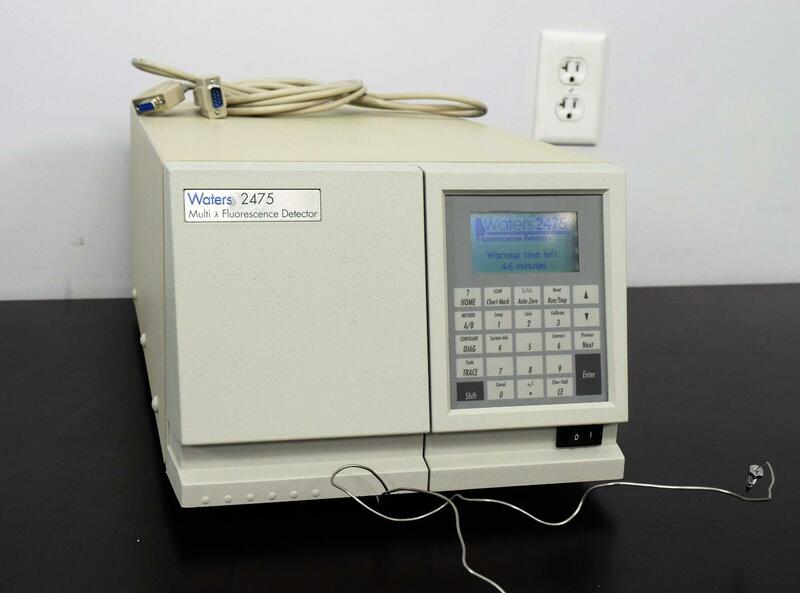 Waters Multi Wavelength Fluorescence Detector for HPLC Systems. This detector offers an extreme perception for the measurements of natural or derivatized fluorescent target compounds. It can monitor up to four independent wavelength pairs and the flow cell is designed to allow less dispersion, stray light, and volume while providing more pathlength for excellent sensitivity. Our technician powered the unit on and all the panel buttons are responsive. After going through the initialization the detector reports “configuration not found, resetting to defaults”, “pmt not calibrated”. Both of these errors are caused by the internal battery that assists in storing these settings needing replaced on the onboard computer.